Restoration project management and management team leadership. 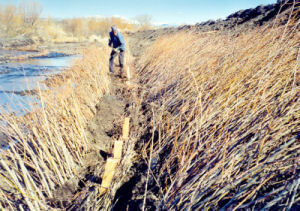 Revegetation design and inspection for erosion control and watershed restoration. Environmental inspection and monitoring services for restoration and construction projects. Technical, interpretive, and grant writing and editing. Please contact me to find out how I can help you meet your resource management goals!